PM Modi's review meet analyse the health of the economy, deliberate intervention measures. 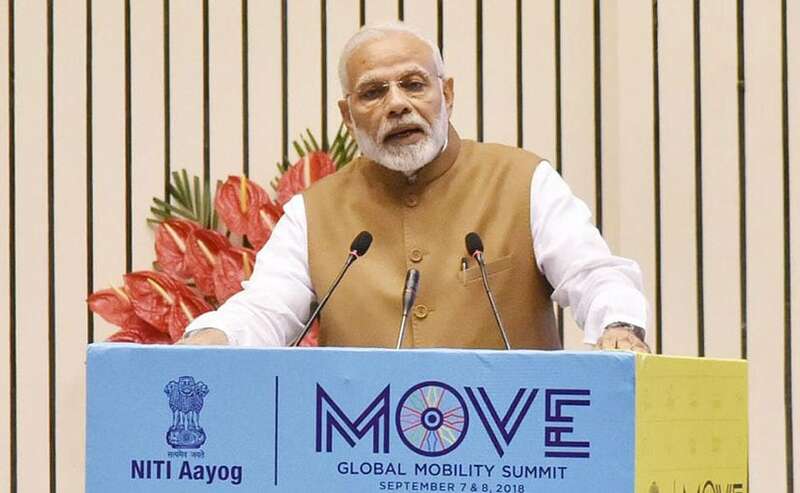 Prime Minister Narendra Modi is likely to hold a review meet this weekend to analyse the health of the economy and deliberate if any intervention measures are required to stem the fall of rupee and rising oil prices, sources said. An increase in interest rate to shore up the rupee, that hit a fresh lifetime low Wednesday, is also being talked about in some quarters. Finance Minister Arun Jaitley, NITI Aayog Vice-Chairman Rajiv Kumar, PMEAC Chairman Bibek Debroy and Finance Secretary Hasmukh Adhia are among the officials who are likely to attend the meeting Saturday, sources privy to the development said. While the structure of the meeting is not known, it may review macroeconomic indicators, government finances and implementation of flagship financial inclusion and other development schemes, they said. The meeting comes in the backdrop of the Indian currency touching its lifetime low of 72.91 to a dollar, depreciating 12.3 per cent since the beginning of 2018. The rupee Wednesday rebounded from its historic low of 72.91 to end higher by 51 paise at 72.18 after the Finance Ministry assured of steps to avert its fall to "unreasonable levels". Besides having an impact on current account deficit, the nosediving rupee has made imports costlier and led to petrol and diesel prices skyrocketing to record highs. Opposition parties led by Congress have made spiralling fuel prices and plummeting rupee a political issue and questioned the efficacy of the government's economic policies. They have been demanding that the Centre cut excise duty and some of the states ruled by them including Andhra Pradesh and West Bengal have announced measures to cut local taxes. Petrol price Tuesday climbed to an all-time high of Rs 80.87 per litre in Delhi, while in Mumbai it inched up to Rs 88.26. A litre of diesel in the national capital was priced at Rs 72.97 and Rs 77.47 in Mumbai. Every Rs 2 cut in price of petrol and diesel would lead to a revenue loss of around Rs 30,000 crore, as per ministry estimates. Data from the Commerce Ministry has shown better than expected trade deficit at $17.40 billion in August, down from $18.02 billion a month ago. Exports grew 19 per cent to $27.84 billion while imports rose 25.41 per cent to $45.24 billion. Also, boosting the government was retail inflation rate easing to a 10-month low of 3.69 per cent in August. Sources said while the Centre has virtually ruled out a cut in excise duty, saying that it would mean that a commensurate reduction in developmental expenditure has to be undertaken to keep the fiscal deficit at the budgeted level, it is up to the states to reduce VAT on petrol and diesel. The retail price of petrol and diesel is arrived at after adding excise duty, which is charged by the Central government, commission paid to petrol pumps dealers and VAT, charged by the state governments. While Brent crude oil price is hovering at around $79 a barrel, the relentless slide in rupee has put pressure on the oil import bill. The Current Account Deficit (CAD), which is the difference between inflow and outflow of foreign exchange, rose to $18 billion or 2.4 per cent of GDP in the April-June quarter on account widening trade deficit.